Last week I decided to experiment with a protein mug cake recipe. 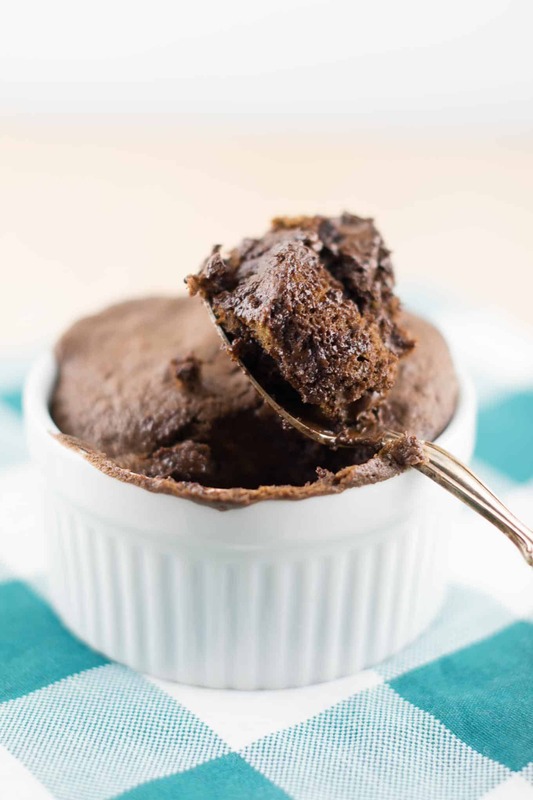 I loved how my Gluten Free Chocolate Mug Cake turned out, but I wanted to try making one with protein powder in place of flour. Despite the odd looks from my husband as I added mashed avocado (this replaces the oil in the recipe), I was confident that this cake was going to be delicious! I was right! It is super rich and fluffy and so deliciously chocolatey! 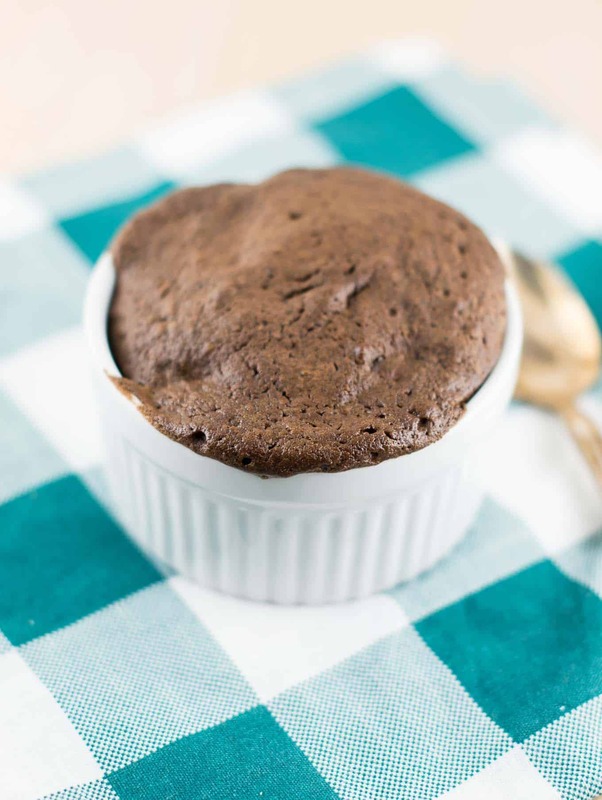 This cake is oil free, dairy free, and flourless, making it gluten free and safe for anyone who avoids it in their diets. It’s also perfect with a scoop of vanilla ice cream. 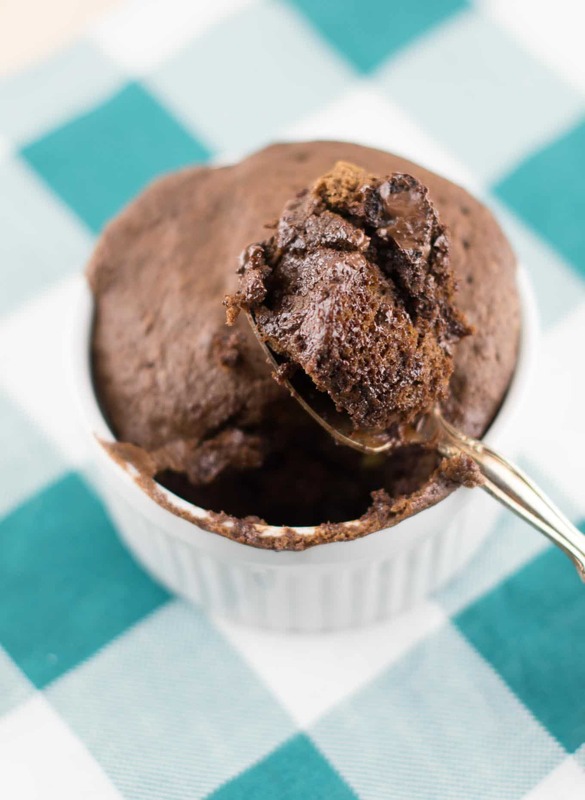 This magic protein mug cake is the perfect dessert to help you keep your New Year’s Resolutions and enjoy chocolate cake at the same time! Serve with ice cream or by itself, enjoy! I don’t own a microwave…Any idea how long and at what temperature I could bake this baby? Hi Sophie! I have read that an oven can take up to 4 times longer to cook. Maybe try 5-8 minutes at 350? Just watch until it looks done! Hi Joy! Do you think you could make it with applesauce? What would the ratio be? We don’t really eat avocados, so I don’t want to buy one just to throw half away. I tested this out for you tonight and it works great! Just use 3 tablespoons of applesauce to replace the avocado. The texture is more soft and fluffier, so be sure to use a bigger mug. It overflowed the ramekin I used (the one in the pictures) so I would use something bigger next time. It sounds delicious but I cannot eat protein powders, do you think oat flour would work? 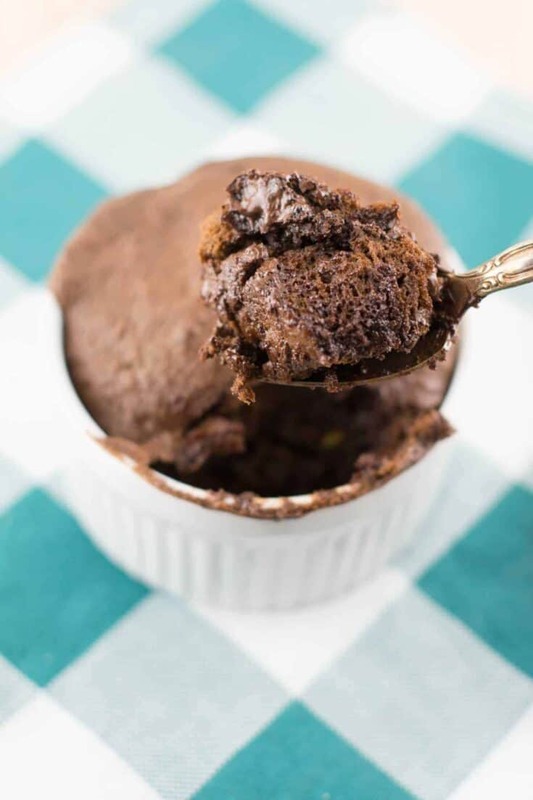 Here is another mug cake recipe that I have made that uses oat and coconut flour – https://buildyourbite.com/gluten-free-chocolate-mug-cake/ Hope you enjoy it! I made this vegan by using brown rice protein and a flax egg. SO FREAKING GOOD! Had a dessert emergency and this saved the day. Thanks!